I’m there with fellow student Ioana handing out leaflets and answering questions. 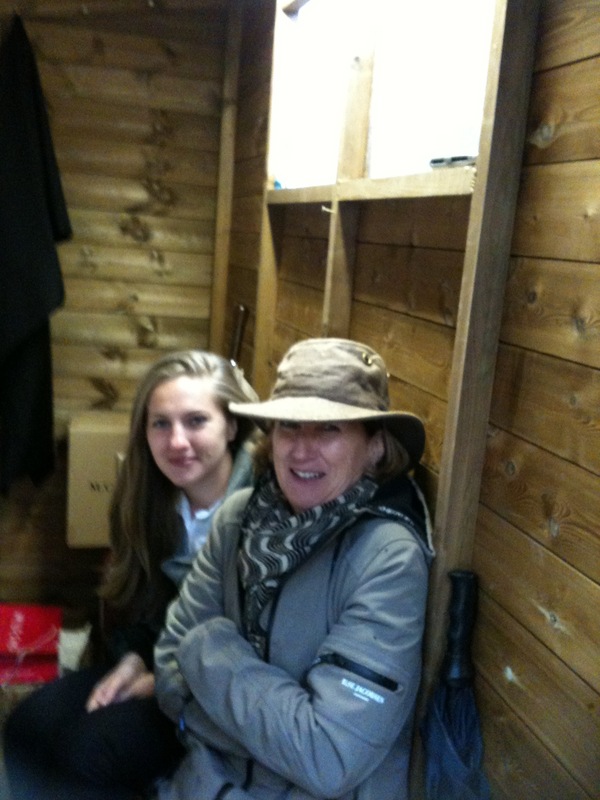 Five minutes sheltering from the rain – in the shed! We’re juggling umbrellas, boxes of soggy plant lists and flagging spirits. It’s cold, it’s wet and no I don’t know the name of the peony that everybody is asking about which isn’t on the plant list. It has to go down as one of the longest afternoons of my life. But two things made it worth the agony. One was Ulf Nordfjell’s garden which continued to look utterly beautiful in spite of the rain. And the other was the Chelsea crowd. Who were just lovely. Friendly, interested, funny. They ebbed and flowed in a constant stream of unabated cheerfulness. They were the only thing that kept me going. Although after a few hours of answering the same questions I began to get the strangest sensation that it was the same people who kept coming round again – the man in the raincoat with the beard, the interested wife with the resigned husband, the group of smiling ladies. 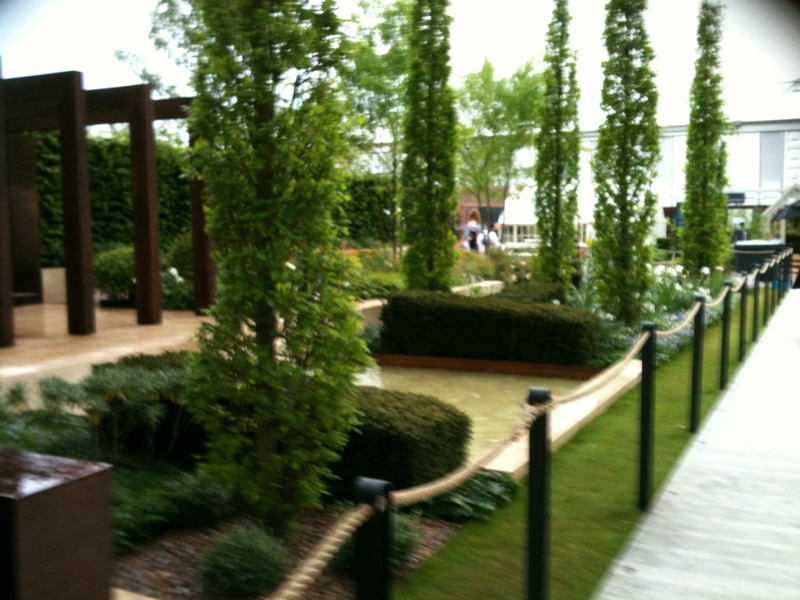 It was as if they were on a loop and I was an extra in a horticultural version of The Truman Show. And finally, at eight o’clock, when the longest afternoon of my life finally came to an end, my lovely husband was waiting outside for me. And he suggested dinner at Como Lario, which is one of my favourite Italian restaurants and happens to be just round the corner from the Flower Show. (Who needs Cleve West?) So I drank red wine and ate wild mushroom risotto wrapped in pancetta, and felt the warmth returning to my feet, and after a while began to feel that maybe life wasn’t so bad after all.